Suction cups work best for mounting solar screen fabric without the frame on the inside of a window. 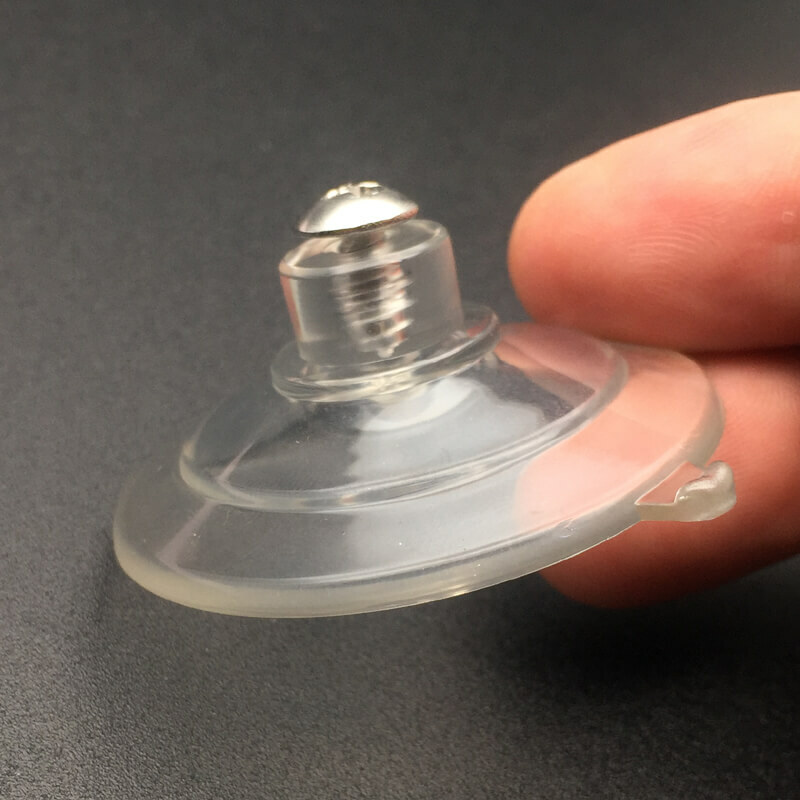 We provide you with the requested number of clear suction cups, as well as clear, flat-head tacks, so you can position the suction cups where you need them and secure them with the matching tacks. This provides a great way to quickly fasten and un-fasten solar screens to the inside of a window in your car, home or RV. Our solar screen suction cups are clear and the diameter is 1 7/8″ when in use (1 3/4″ at rest). When in use, the thickness is about 0.7 inches.